When Bakalao Stars release their fourth full-length album this August, founding member Christian Anzola will be celebrating 16 years of making rock en Español with his pioneering reggae-based outfit. That's more than half his life. Anzola was just 15 when he and older brother Javier formed the group. Bakalao Stars, which performs at the Evening Muse on February 10, is the last band standing from Charlotte's original explosion of rock en Español in the early- to mid-2000s. The Anzola brothers formed the group, one of a groundswell of acts in the Charlotte area to make original rock in Spanish, in 2002. Bakalao Stars are: Christian “Mista Reggaeman” Anzola (center) flanked by Jaime “Mr. Popo” Bueno (left) and Diego Garzon. There were several such bands during that period, including the scene's biggest stars La Rúa, as well as La Marea and a few others that would follow in subsequent years. But by 2010, when Bakalao Stars released their second album Soundcocho, La Rúa's lead singer Juan Miguel Marin had left for New York City to become a graphic artist. La Rúa briefly evolved into the more electronic-based Eva Fina before finally calling it quits. "After Juan moved and La Rúa ended, that first wave [of rock en Español] sort of died down," remembers Anzola, 30, who performs as Mista Reggaeman. "But we just kept going. And then, by 2014, when we released [the third Bakalao Stars album] Afrodjak, we were honestly the only rock en Español band left in Charlotte." More determined than ever, Anzola and his brother vowed to keep going. "We were like, 'We can't stop now,'" Anzola says. "If we had stopped playing at that time, there was really no other band doing what we do." What Bakalao Stars and their likeminded cohorts were doing back in the early 2000s — playing rock music, sung in Spanish, to crowds consisting of a smattering of Anglos at predominantly Anglo clubs in Charlotte — was nothing short of revolutionary. By 2008, Charlotte's growing rock en Español scene was the talk of the town, and it attracted the attention of National Public Radio's Felix Contreras, who later went on to co-host NPR's popular Alt.Latino program. Contreras came to Charlotte to cover the Latino music festival Carlotan Rock, organized by La Rúa guitarist Tony Arreaza, who now serves as the cultural events director for the Charlotte Latin American Coalition. "The music is rock en Español," Contreras began in his radio report that aired nationwide, "and it could be the soundtrack for Charlotte's racial and cultural revolution." Later in the report, Contreras took NPR's listeners to a Bakalao Stars rehearsal in a warehouse near the airport, where the band's then-singer Daniel Alvarado told how he spent half his time in Charlotte supervising a crew of mostly Mexican immigrants — and the other half singing with Bakalao Stars. "It's like having two lives," Alvarado said to Contreras. "During the day, I'm a supervisor, and at night I'm a rock star. It's cool." It was more than cool. When Bakalao Stars would launch into such loud-fast punk songs as "Borrachera," from their 2007 debut album Peguele al Trifasico Con Azpero Sumbein, the band sounded like Charlotte's version of Mexican alt-rock legends Café Tacuba. The music was intense, snotty and energetic, and it sent mosh pits of Latino and Anglo youths into frenzies in local clubs that were once the exclusive domain of mostly white punk bands. Bakalao Stars in 2005: Bueno (from left), singer Daniel Alvarado, Jorge Garcia, an 18-year-old Christian Anzola and his brother Javier. "The best thing about Bakalao is that you can always tell that they are having fun on stage," Arreaza says. "They have amazing chemistry and an infectious energy." The year 2002 was a big one for the Anzola family, and for Charlotte's Latino community at large. Not only was it the year Christian and Javier formed Bakalao Stars, but it also was the year their uncle, Dan Ramirez, became the first Latino in Charlotte to be elected to public office by landing a seat on the Mecklenburg County Board of Commissioners. 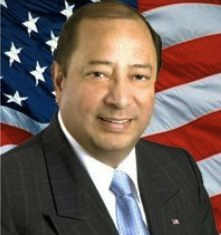 Ramirez, who died in 2014, was a conservative Republican who was willing to tell the truth about bigotry, something rarely seen before then among the Board's more conservative members, and something that has become increasingly unheard of among today's crop of conservative Republicans. "I say it all the time to my fellow Republicans: 'We need to be more tolerant,'" Ramirez once famously said. "'We need to be clear that not every Hispanic is an illegal. We need to stop pushing people away.'" When Ramirez' nephews began playing rock en Español in predominantly Anglo clubs around Charlotte, they were effectively saying the exact same thing to the local music scene. By staking their claim in Charlotte with a sound that refused to kowtow to language or stylistic barriers, Bakalao Stars and their fellow rockers en Español were telling Charlotte's music-venue owners: We need to stop marginalizing music simply because it's performed in a language that's different from the rock status quo. In the early 1990s, before the local rock en Español movement began to gain momentum, most rock bands with Latino members, such as Peralta, would perform rock songs in English. If Latino musicians wanted to sing in Spanish, they would either have to play traditional Mexican music in restaurants — to provide the "exotic" entertainment for Anglo diners — or play the music they wanted to play in exclusively Latino clubs. There wasn't much wiggle room in Charlotte for music sung in Spanish. That began to change later in the '90s, when Arreaza, then 25, formed Losdepaula along with drummer Marcos de Paula, bassist Mateo Flandoli and singer Fred Figueroa, and set out to shake things up on the local music scene. Losdepaula dared to make the kind of Spanish-language rock in Charlotte that, at the time, you could only hear in such Latino strongholds as southern California, Florida and Texas. With Losdepaula and later La Rúa, Arreaza and his friends played a mix of original songs and covers by international acts like Mana and Caifanes, from Mexico; Soda Stereo, from Argentina; and then-rising Colombian superstar Juanes. By the early 2000s, Arreaza's La Rúa had spawned a bona fide rock en Español scene that eventually grew to include Bakalao Stars and other early rock en Español bands. And in the case of original La Rúa songs like "El Chanchito," they had begun to take on the burning issue of immigration in their lyrics, putting human faces to the struggle. La Rua in 2005: Arreaza is at far right. 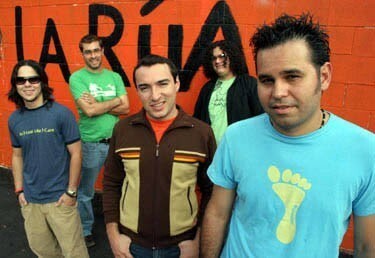 In a 2006 interview for Creative Loafing, Arreaza remembered when La Rúa was about to record their first and only album, Una Noche de Abril, which had come out the previous year and included "El Chanchito" as its first single and video. 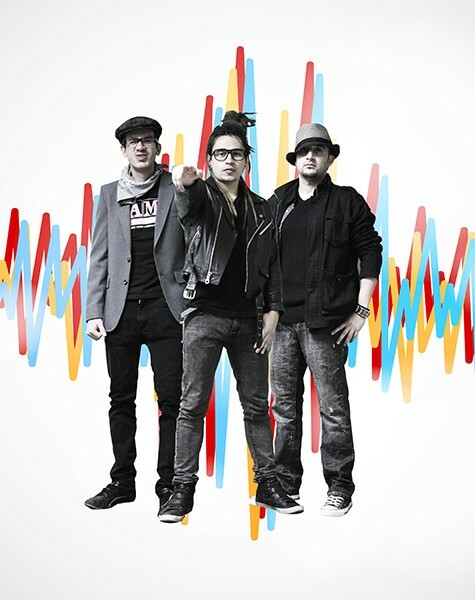 "Although the thought of writing in English passed through our minds briefly," Arreaza said, "there was no question about it when it came time to select the songs for the album: We definitely wanted to remain true to our roots and language, by promoting and somewhat introducing rock en Español to this region." La Rúa had set a precedent for all subsequent Latin alternative bands including Bakalao Stars, who wanted to create a community of even younger Latino musicians who were interested in brainstorming new ways of presenting alternatives to both traditional and mainstream Latino music. "When my brother and I started the band," Christian Anzola says today, "we were like, 'We should make this more of a club for music. Instead of forming a band, let's rent a storage unit and have a bunch of musicians just come in and jam out.'" The idea of a creating a safe space for young Charlotteans of Latin American heritage was important to the Anzola brothers, who were then still in their teens or early 20s. "Especially since there was a lack of rock en Español in Charlotte back then, except for La Rúa and La Marea and a few others," Anzola says. In the 16 years since the Anzola brothers formed their "club" for young Latino musicians in Charlotte, Bakalao Stars has undergone several major lineup changes — as any club membership would. Today, Anzola and guitarist Jaime Bueno (who goes by the stage name Mr. Popo) are the sole founding members still performing with the band. Singer Alvarado and his predecessor on vocals, Fernanda Marin, are both long gone, as is Anzola's brother Javier. Anzola (standing) with Garzon (kneeling left) and Bueno. Today, Christian Anzola is the singer, and the band has been stripped down to just a trio, with Diego Garzon on second guitar. When Bakalao Stars perform and record, the trio uses pick-up musicians that include bassists, percussionists, keyboard players and often full horn sections. "The Bakalao guys are incredibly committed to the band," Arreaza says. "They rehearse every week, whether they have a show lined up or not, and they're always working on new music." The band's upcoming album will be Bakalao's first since Afrodjak, in 2014. "We've been working on this album for about a year now, and we kind of took a different approach this time," Anzola says. "Before, we were always rushing in the studio and then just recording." For the new album, which the band recorded at Tropic Culture Studio in Charlotte, Bakalao tapped Javier Delgado, the drummer of the Grammy-winning Miami-based rock en Español band Locos Por Juana, to produce. "We're recording everything here in Charlotte, but he's kind of helping us a little bit and he's also doing all the mixing down in Miami," Anzola says. "And we're also working with a lot of other musicians from Miami — horn players and stuff like that." Anzola says the album, which has not yet been named, remains in the ska- and reggae-based tradition of Bakalao's earlier material, but with a fuller sound due to the use of more horns, and also digital beats and synthesizers on at least one track. "It's a mixture — we still do songs that kind of go back to the first CD, but for some of the newer songs we're adding in some of the beats that bands like [the Colombian electro-cumbia outfit] Bomba Estereo use," Anzola says. "But we're still true to our ska and reggae roots, which has always been our foundation." Of the album's 10 tracks, three hark back to Bakalao's ska roots, and one song, "Sunshine," sung mostly in English, is straight-up reggae. The two singles that the band has already released on Spotify — "Erotika" and "Ola" — have more of a tropical flavor. "Ola" begins with the sounds of waves crashing followed by rich, almost Memphis-style horns before breaking into an infectious, danceable melody. "Erotica" incoporates brushstrokes of synths and beats into its dancehall-flavored tropical melody. "Other than that, it's pretty much just live instruments," Anzola says. "We just wanted to try and mix in a little of the newer sounds that are going on with a lot of Spanish bands nowadays." And then there's the obligatory punk-inspired track, something Bakalao Stars have always incorporated into their setlists. "It's called 'Sixteen' — 'Dieciséis,' in Spanish," Anzola says. "It's definitely a little more punk rock." If the members of Bakalao Stars felt alone around time of their Afrodjak album, in 2014, after most of the other original rock en Español bands in Charlotte had disbanded, Anzola and company are not feeling alone today, he says. While in recent years the sounds of traditional and alternative rock have fallen out of fashion as the Charlotte music scene has entered a post-rock world where hip-hop, electronic music, international sounds and elements of rock all have begun to merge together, several younger second- and third-generation Latinx youths have taken the torch. For example. 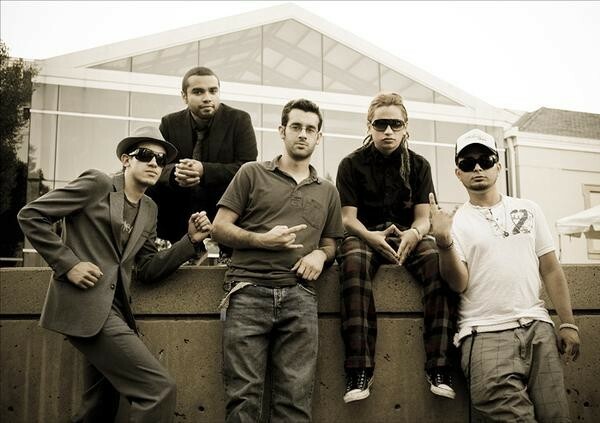 Joseph Samuel Quisol, a third-generation Asian-American and Latinx youth of Puerto Rican and Filipino descent, brings the multifarious traditions of his heritage into the music of his band Quisol, whose other members come from a variety of Latinx backgronds. (See last week's music feature.) Quisol mixes English and Spanish lyrics into music that blends traditional Latinx sounds and other styles into a more modern musical mélange. And then there are bands such as Chócala, a mix of Latinx and Anglo members who are taking Latin sounds and reconfiguring them into yet more adventurous ways. But the kind of four-on-the-floor, ska-based rock you hear in the music of '90s Latin alternative legends from Mana to Los Pericos to Café Tacuba is rarer today than it was in the heyday of rock en Español. Which is why the endurance of Bakalao Stars is so important, according to Arreaza. 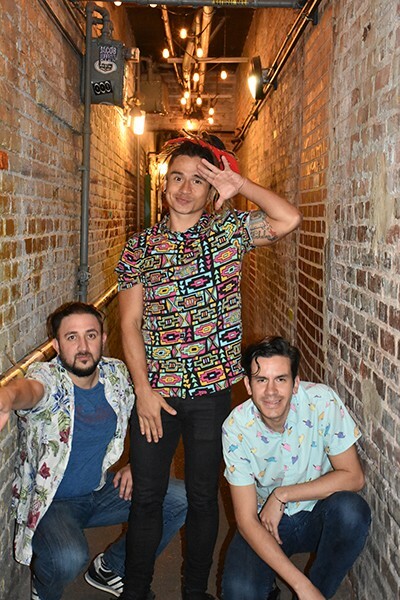 "They're the longest-running rock en Español band in Charlotte," Arreaza says, "and they are truly responsible for keeping the local Latin music scene alive and inspiring newer bands like Jahlistic and Chócala."